Set in a fantastical version of medieval Estonia, The Man Who Spoke Snakish follows a young boy, Leemet, who lives with his hunter-gatherer family in the forest and is the last speaker of the ancient tongue of snakish, a language that allows its speakers to command all animals. But the forest is gradually emptying as more and more people leave to settle in villages, where they break their backs tilling the land to grow wheat for their “bread” (which Leemet has been told tastes horrible) and where they pray to a god very different from the spirits worshipped in the forest’s sacred grove. 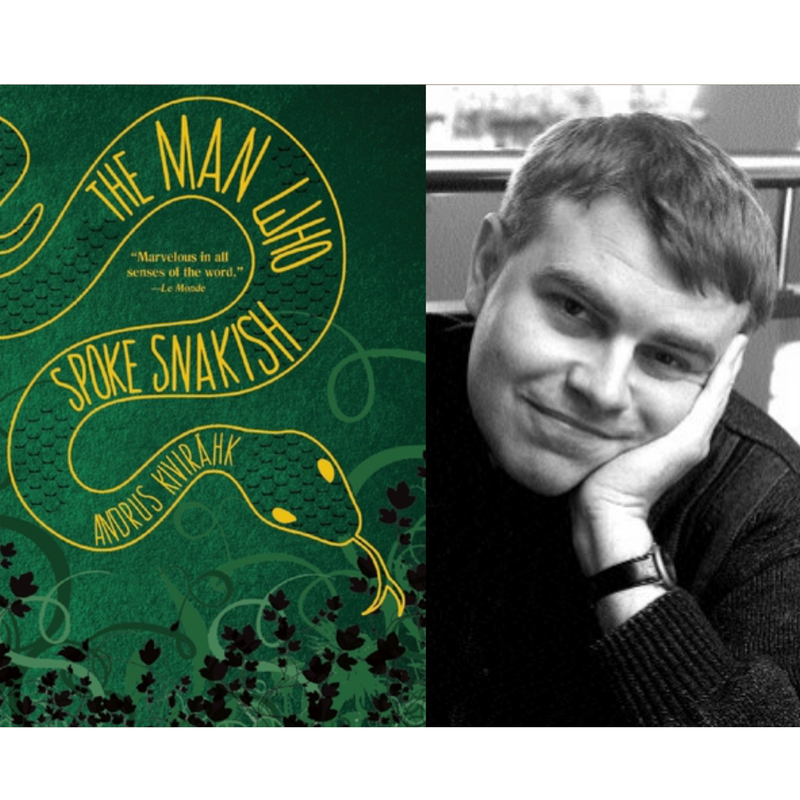 With lothario bears who wordlessly seduce women, a giant louse with a penchant for swimming, a legendary flying frog, and a young charismatic viper named Ints, The Man Who Spoke Snakish is a totally inventive novel for readers of David Mitchell, Sjón, and Terry Pratchett.